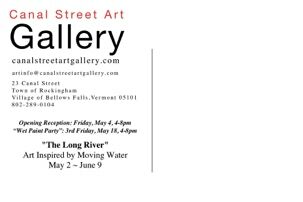 Canal Street Art Gallery is pleased to present “The Long River” an exhibition of art inspired by moving water. 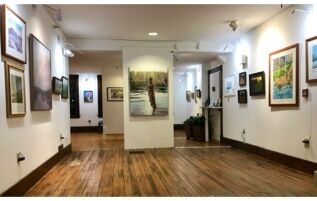 The exhibit features artist&apos;s working in a diverse range of mediums and styles brought together by their common inspiration drawn from the power of water. 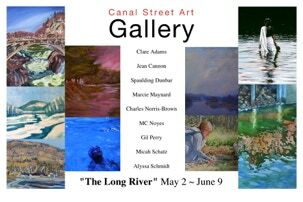 Canal Street Art Gallery presents this artwork to honor the river, falls and canal which have attracted creative peoples to this place, and the Gallery to its current location. The show includes artworks in photography, watercolor, monotype print, oil, acrylic and drawing by artists Clare Adams, Spaulding Dunbar, Marcie Maynard, Charles Norris-Brown, MC Noyes, Gil Perry, Micah Schatz, and Alyssa Schmidt. 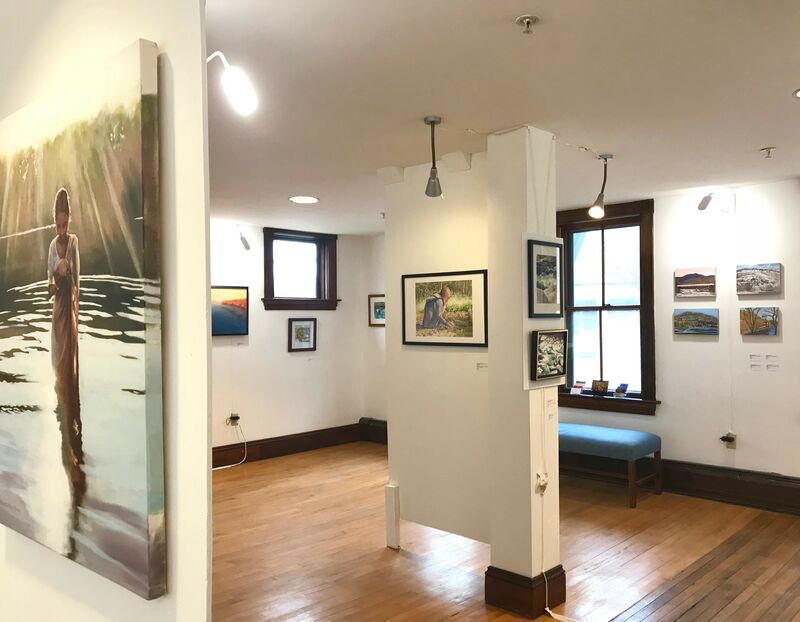 The public is invited to attend the Opening Reception for the exhibit on Friday May 4, from 4-8pm for an opportunity to meet the artists, appreciate their work, and enjoy some tasty treats and refreshments. In addition, the Gallery is hosting a “Wet Paint Party” on Third Friday, May 18 from 4-8pm. Join us for this fun and exciting event when the artist’s add new artwork to the show and live music is played, making for a changing and evolving exhibit for all to be a part of.